Here’s a link to the Letter from Sajid Javid MP, Secretary of State for Communities and Local Government, confirming receipt of our Future Dorset proposal. In it, Mr Javid states he expects to indicate his decision within weeks. All nine councils in Dorset have now considered a report and accompanying detailed package of evidence setting out a proposal to replace the county’s nine councils with two new unitary authorities. Urban Dorset: Bournemouth, Christchurch and Poole (including delivering the services currently provided by Dorset County Council in Christchurch). Rural Dorset: East Dorset, North Dorset, Purbeck, West Dorset, Weymouth and Portland (including the services currently provided by Dorset County Council in this area). Dorset is amazing – but Future Dorset would make it even better! You’ve perused this website, read the proposal document, maybe even looked at the detailed evidence documents, but what will two new councils really mean for the area? Take a look at our video to see the wider benefits that this Future Dorset plan would bring. Our aspirations are shared by great company – AFC Bournemouth Manager Eddie Howe and Team GB Gold Medallist Hannah Mills for starters! https://futuredorset.co.uk/wp-content/uploads/2017/02/Future_dorset.png 0 0 Georgia Turner https://futuredorset.co.uk/wp-content/uploads/2017/02/Future_dorset.png Georgia Turner2017-02-17 17:14:512017-02-17 17:19:44Dorset is amazing - but Future Dorset would make it even better! Secretary of State for Local Government & Communities Sajid Javid has been formally requested to back a proposal by six of Dorset’s nine councils for major structural change in the county. 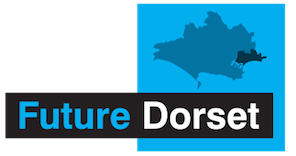 Dorset’s three upper tier councils – the councils that spend the greatest percentage of the county’s local government money and represent every resident of the county, Dorset, Bournemouth and Poole – are supporting this proposal, along with North Dorset, West Dorset and Weymouth & Portland councils.